After a super crappy fourth movie in a franchise, it takes a lot to win back an audience—and Pirates of the Caribbean: Dead Men Tell No Tales is doing its best. It’s bringing back some old favorites, has a solid new cast, and now, two more tempting words: ghost sharks. I mean, how cool is that? Ghost sharks! I just want to keep saying it. 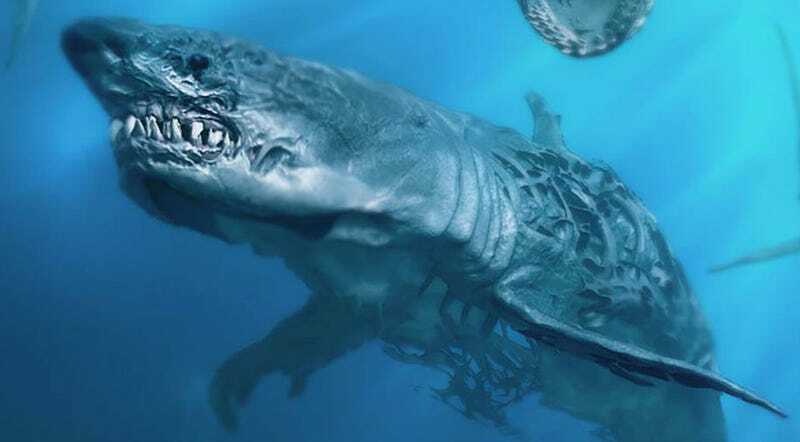 I just hope the ghost sharks have at least one action scene in the movie and aren’t just an expensive piece of CG set dressing. So far, we’ve only had a teaser trailer and the Super Bowl spot but, odds are, a new trailer will be coming along with Beauty and the Beast. That should give us a better idea of what’s in store for Johnny Depp’s Jack Sparrow this time around, and maybe even a glimpse of the return of Orlando Bloom’s Will Turner. Directed by Espen Sandberg and Joachim Rønning, Dead Men Tell No Tales also stars Javier Bardem, Kaya Scodelario, Brenton Thwaites, and Geoffrey Rush. It’s out May 27.